On a recent trip to the kingdom of shopping that is Manchester’s Trafford Centre, I thought it was high time I ticked some items off my wish list – the Nars Radiant Creamy Concealer being one of them. This might as well be dubbed “the ultimate concealer,” claiming to hide all blemishes, brighten all dark circles and even all complexions. And, they’re right. Believe the hype – this stuff is the holy grail. For a long time now my go-to concealer has been MAC’s Prolongwear in NW15 but, despite being amongst the lightest colours offered by the brand, it’s still just that smidgen too dark and doesn’t brighten up the eye area as I would like. 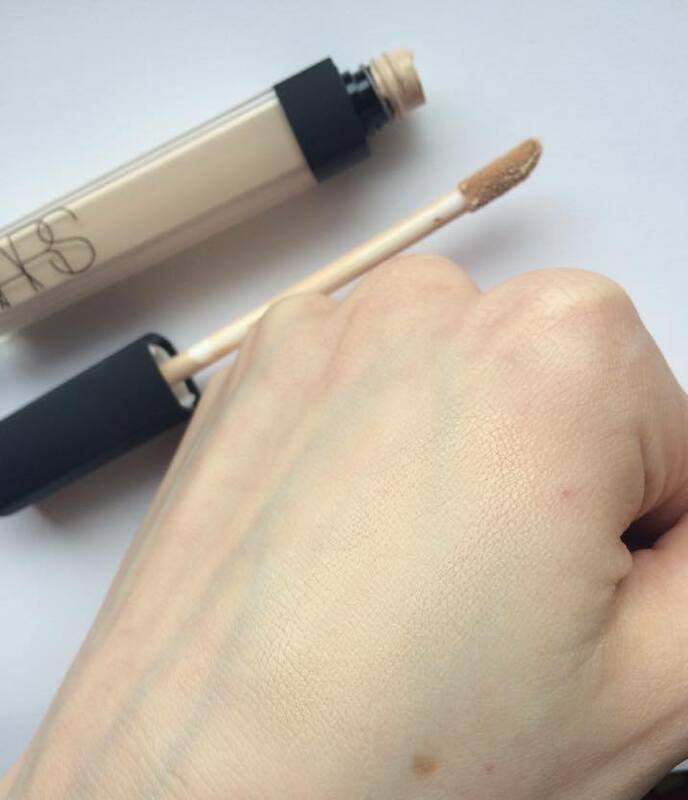 When searching for a concealer that would both cover and brighten, Nars’ offering was a constant favourite amongst bloggers, particularly for pale skin. You only have to google colour swatches to see that ‘Chantilly’ stands alone as a wonderfully light concealer. The closest colour-match I can find is Collection’s Lasting Perfection in ‘Fair,’ which is hugely popular amongst those with fair skin (especially as it is only £3.99). With a difference of £18, however, this is where the comparison ends. Retailing at £22, the concealer’s expense is truly seen in its amazing coverage and lasting finish. The formula really is ‘creamy:’ luscious and pigmented enough to provide medium to full coverage, but not too thick as to look heavy and cakey. 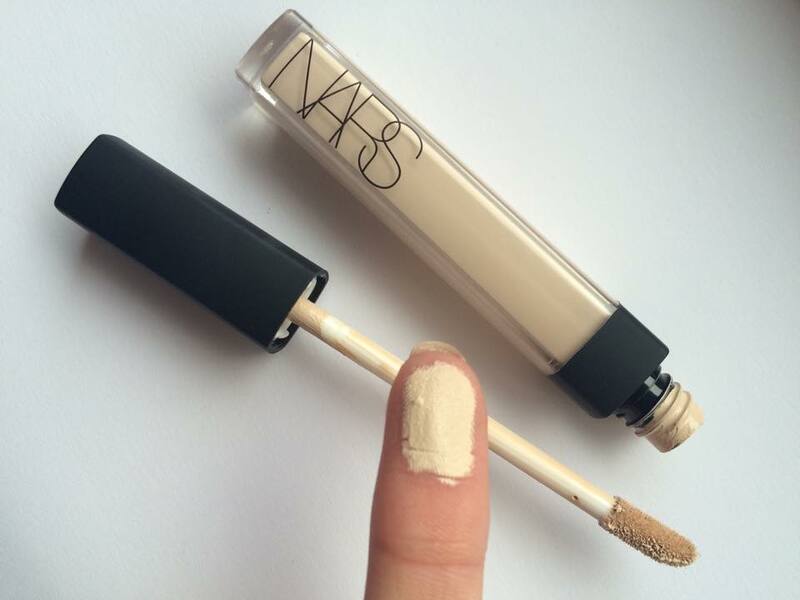 Nars claims that the concealer is ‘buildable,’ but I would beg to differ. This isn’t exactly a negative as the concealer is opaque enough to provide great coverage with just one coat, but too many applications can reverse the buttery texture and begin to look thick and claggy. This issue is easily avoided with the help of the sponge applicator which gives you greater control over where the product is placed, reducing the risk of applying too much or wasting the excess (unlike MAC’s overly generous pumps!). The concealer blends well with a Beauty Blender, but I find that a brush is best to spread the mixture evenly across the skin and really focus on those areas that need some extra tuning. As you can see from the picture above, the finish is a lovely ‘barely there,’ semi-satin one. Whereas other concealers begin to break down after 5-6 hours, you can guarantee that Nars’ concealer will stay put, but what it does do, perhaps inevitably, is settle into fine lines. This can be limited with a decent primer, but I doubt there will ever be a concealer that doesn’t find it’s way into those little cracks and crevices. A few creases under the eyes and around my laughter lines isn’t too much to expect after a long day at work, I don’t think. Would you invest in Nars Radiant Creamy Concealer? I was sceptical as to whether the huge reduction on this set was because it wasn’t very popular. Was it the case that Illamasqua needed to shift an old bulk order that wouldn’t sell? Surely not… The gel liner? Unpopular??? I can’t speak for the brow gel as before now I’ve stuck to relatively cheap pencils to lightly shade in my eyebrows. But to think that ‘Embellish’ isn’t popular either astounds me. I already own the Vintage Metallix in ‘Courtier’ – a light beige-pink with a soft gold shimmer – and ‘Embellish,’ a medium brown with the same hint of gold, was next on my list. On reflection, maybe it was just too expensive. The thought of buying this trio at the original price of £49.00 made me sweat a little, so when it was first reduced to £25.00, I added it to my basket. But with reluctance – it was still just that bit too expensive to be a sale bargain (though I then spent £26 on four new eye shadows without a second’s thought *facepalm*). Finally, after a long day at work, I received the email. ‘FINAL REDUCTIONS.’ And there it was. £14.70. Bish, bash, bosh (and after a slight skirmish with PayPal), it was mine. As a quick aside… Illamasqua’s delivery system is second to none, so if you can’t find something in store, don’t hesitate to order it online. I always opt for their free delivery, quoted as 3 – 5 working days, but have received my items within just two days of ordering. You even get a text with the name of your delivery driver and a verrrrry exact ETA (my last one was 11:42 to 12:42). So these three gems arrived in their swishy presentation box and I was quick to dig in. As I said earlier, though I envy those brows ‘on fleek,’ I don’t think a heavily sculpted eyebrow would suit my face and I can’t afford too dark a shade with my complexion and hair colour. When I googled Strike it seemed an ‘okay’ colour – maybe I’d get away with it – but I had a feeling that it would end up getting dusty at the back of my make-up table. But, two weeks in and I’ve used it every day. ‘Strike’ is a medium brown with a cool undertone so it suits my naturally ashy hair perfectly. I’d particularly recommend it for those with bleached or coloured hair like mine – pastels or brights – as it is a ‘safe’ colour, not too dark, not too light, not too blonde, not too brown. ‘Safe’ seems like an awful word, but I mean it in the best way: as much as I’d like to walk around with lilac eyebrows, I haven’t got the guts to bleach and tone them, so for now I need a neutral colour that doesn’t look to obvious. In terms of application, I use my Sigma E65 Small Angle Brush to apply the gel. It has quite a loose consistency so the smallest dot of product will easily cover one brow. Once it dries, though, it won’t budge. Naturally, some of the gel can stick to your eyebrow hairs so I like to run over them with a spoodle just to remove any excess product. I would recommend this for those, like me, who are looking to ‘tweak’ their natural brows, either by filling in gaps or neatening edges as the gel, by nature, is well pigmented, but has a semi-satin finish. If you are looking to re-sculpt your brows, then I think a product with a thicker consistency, higher colour pay-off and a matte finish would be better suited – like Illamasqua’s Brow Cakes, which have a powder/paste-like texture and come in a range of colours (‘Strike’ is the only brow gel available at the moment). I bloody love this stuff. Compared to the epic fail that was Urban Decay’s Gel Liner, Illamasqua’s version is what dreams are made of. The key to a good gel liner is its consistency; you need it to be loose enough to apply it in as few strokes as possible to achieve a sharp, fluid line. This liner has a very similar texture to the brow gel in that it applies thinly, but with great, consistent pigmentation. And unlike a liquid liner, the product won’t crack or flake on the eye. I tend to apply my liner in layers, starting with a skinny flick and adding an extra layer until I have the thickness I want; doing this with a liquid liner can lead to cracking as the product begins to dry. And once it’s cracked, with the slightest touch or puff of wind, it begins to flake away. A gel liner, by comparison, dries with some degree of ‘flexibility’ meaning there’s no risk of unwanted negative space. I’d very highly recommend this for anyone who’s go-to look involves eyeliner, but to get the most out of this product, make sure you buy a suitable brush to apply it with! The Vintage Metallix are a collection of three gel-like eyeshadows and are amongst the newest products produced by Illamasqua. Each one – Courtier, Embellish and Bibelot – have a muted, ‘vintage’ colouring with a delicate gold shift. I first bought Courtier, a lovely pink-beige, under the impression that it would act much like MAC’s Paint Pot (mine had turned horribly dry and thick at the time – I’ve rescued it since!). The Metallix can work this way, pigments cling to them particularly well and powder shadows can be easily blended into them, but their intended use is as cream eyeshadows. Once the cream has had time to set, it won’t be going anywhere; the Metallix’s staying power is amazing with and without primer so they’re a good choice for most skin types. Embellish is, I think , the secret weapon to a smoky eye. If you’re not too confident working with darker shades, I’d definitely recommend this. Its rich chocolate colour is just dark enough to make an impact, but not so dark that it seems to close the eye up, as some deep/black shadows can if not applied just right. The hint of gold lends itself to both day and night looks and can either be exaggerated by adding a gold pigment or muted with darker shadows and lots of liner. With just a dip of the finger and a swipe of the lid, you’re done! There’s no need to fret about placement or blending due to its loose, buttery texture. It really is fool proof! This set was most definitely a bargain at just £14.70. I’d even stretch to £25.00 (£49.00 still sounds like a lot of money…)! I would wholly recommend each of these products – whether bought separately or in this set – each have their own way of speeding up the getting-ready process. 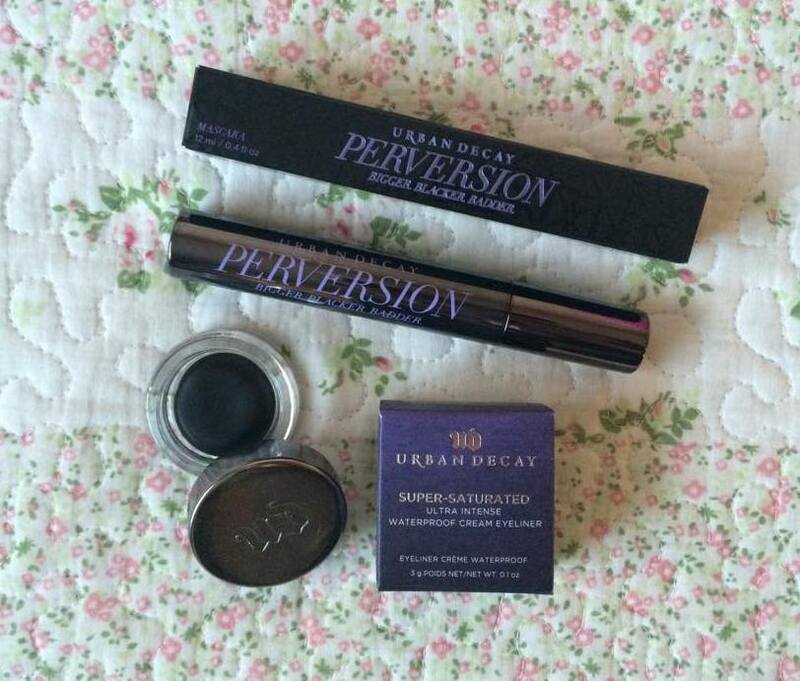 Would you consider the Embellish Eye Trio? Having not written about my December Favourites, this has been a long time coming. Of course, all the things I got for Christmas immediately became my favourite things in the world, so my January favourites include some Christmas presents that I’ve already reviewed elsewhere, some that I have now had chance to get used to and experiment with, and some new items I’ve bought since then. Pigments are for life, not just for Christmas. They’re now an essential part of my make-up routine, adding extra dimension to matte shadows, extra oomph to highlighters and extra sparkle to lip-gloss and nail polish. I was watching one of Mykie’s Youtube tutorials when she used this amazing iridescent powder to brighten the inner corners of her eyes. I’d only vaguely heard of Sugar Pill before and assumed, as an American brand, it wouldn’t be easily available in the UK. But thankfully, a local make-up boutique stocks their entire range – so here we are! Lumi is particularly unusual in its colour and texture. When I saw it on Youtube, I thought it was white with a blue/pink shift – a more pigmented version of Illamasqua’s Beguile. In fact, in person, Lumi is ice blue-white. Because of this, I was hesitant to buy it, thinking it would be too hard to incorporate it into my usual looks that favour warm coppers and golds. But I took the risk and am so glad I did! It sparkles and catches the light beautifully, but isn’t loaded with glitter. I guess you could describe it as ‘shimmery’ rather than glittery, but that does no justice to its pigmentation and opacity. Its super fine texture means that it is extra concentrated, while still being light and easy to work with – there’s no need for adhesives or mixing mediums. I love to pair Lumi with dark, cool-toned lipsticks – taupes and purples – for a kooky, high-contrast look, but, it is works equally well with lighter lip colours for a fresh, clean look like the one below. This picture also shows my next favourite – Lime Crime’s Liquid Liner in ‘Lunar Sea.’ I have been searching for a white eyeliner for a while now so I can create different monochrome looks like this one. I’m a huge fan of Lime Crime’s other products so had no doubt that I would love this just as much as Venus and the Velvetiness. And I do; it has that signature, almost paint-like, pigmentation. The fine brush is easy to use, particularly when drawing even lines, but, as it doesn’t taper to a fine point, it can be trickier to manage when sculpting flicks or curves. Like any liquid liner, too, layering the product can lead to cracking, so be sure not to overload your brush! With a little bit of practice, though, ‘Lunar Sea’ has easily made it into my list of all-time favourite eye products. I had just hit pan in my usual powder blush (No7’s ‘Soft Damson’) when I saw this advertised as part of Illamasqua’s January sale at half the usual price. As it would be my first time using a cream blush (and I’ve heard the horror stories about how difficult they are to apply correctly), I confess that I would not have paid the full £21.50 for such a risky item. At just over ten pounds though, it was a bargain! Having used it for around a month, I can safely say that it isn’t all difficult to use. As the colour pay-off is very high a little goes a long way so the cream need only be applied in very thin layers which helps to reduce the ‘patchiness’ that people had warned me about. I’ve tried applying it with my fingers and a blush brush as Illamasqua recommends, but found that each have their own way of moving the product around unevenly. Instead, my preferred method is to use a beauty blender; I now add this blusher into my contour routine and blend it out with my cream pigments (yes, I, too, have a ‘Neopolitan Face’ each morning – see my contour routine here). I’d imagine that, with a lighter colour, uneven coverage would be less of a worry, but my skin doesn’t take to corals very well and bright pinks can make me look like a Cabbage Patch Kid, so I chose ‘Peaked,’ a gorgeous deep plum. 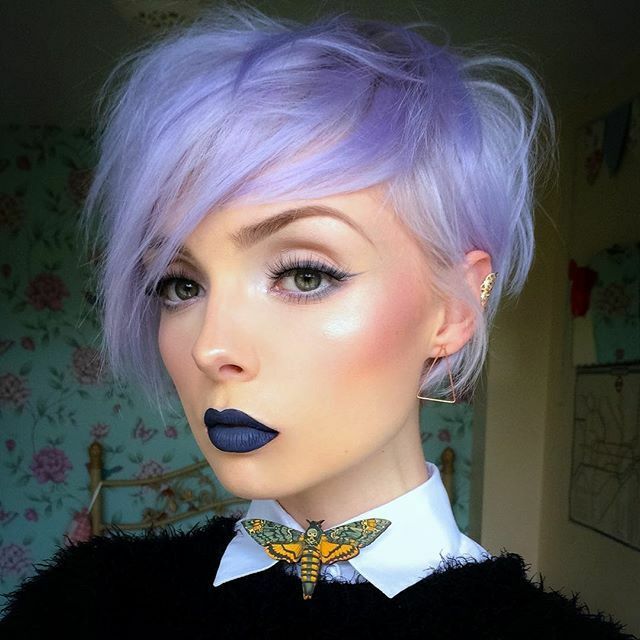 This colour would look absolutely beautiful on darker skin tones, though, it’s slightly cool-tone means that pale girls like myself can still pull it off. It adds a bit of sophisticated rouge without looking hot and flustered (I was incredibly heavy-handed when taking my swatch, but you can see beautiful colour all the same). In terms of the price, now I have used this item I would consider buying it at £21.50 – the pan is so big it will probably last until 2020! If you are considering it, though, I’d recommend that you go swatch it at an Illamasqua counter first just to ensure that the colour and texture will work for you. So in my contouring post, I said that I was waiting for Illamasqua to release a white/silver version of their Gleam highlighter. Well, alas, they haven’t, but I’ve found a brilliant alternative! MAC’s Cream Colour Bases are verrrrrry popular due to their versatility – they can be used as highlighters, concealers, blushers, eyeshadow bases and lipsticks. 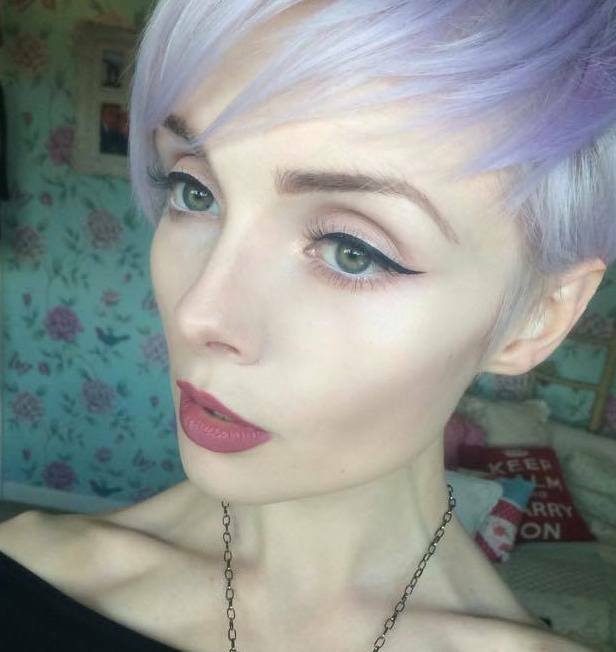 I chose Luna – a pearlescent white – to be my new cool-toned highlighter and it works perfectly! The texture is quite solid (much like the Studio Fix concealers) so it is easier to work with when it’s warmed slightly in your hands (or you can try with a hairdryer but be careful not to get too close to the plastic!!!). That being said, it blends seamlessly with my base without losing any of its colour. I highly recommend Luna as an alternative to Becca’s Shimmering Skin Perfector in ‘Pearl’ which is very difficult to get hold of in the UK. I love purple in all its shades so this was an obvious choice for me. With Spring on the way, it seems the season for vampy lips is coming to a close, but I don’t see why dark colours can’t be used to add a bit of drama to a floaty summer dress and sandals. Right?! Smoked Purple is a deeper, cooler tone than Cyber (which I’m also a fan of) so would probably suit a wider variety of skin tones. I’m not sure whether it’s just luck with MAC’s mattes, but my Smoked Purple is a lot creamier than my Sin and Styled in Sepia. With any dark colours, though, it’s worth mentioning that even the slightest bit of dry skin will snag and catch the colour making it highly noticeable – I now wear tons of lip balm (my tasty new EOS balm) as often as I can to stop my lips going crispy in this cold weather. Follow beautsoup on Bloglovin’ to keep up to date with my FOTD’s, OOTD’s and product reviews: Click here!